Studies have shown that teaching phonics skills to young learners is the single most important predictor of successful reading achievement. With older children where these skills are weak, the Mature Reading Instruction books help to establish automatic decoding in parallel with stories that they can read and want to read. 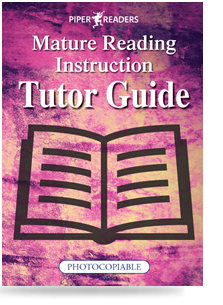 Mature Reading Instruction Starter Set and Set 1 are suitable for 9- to 11-year-olds who lack reading fluency. The books provide the missing link between beginners decoding instruction and ‘real reading’ through stories that are fully compatible with a Synthetic Phonics approach. 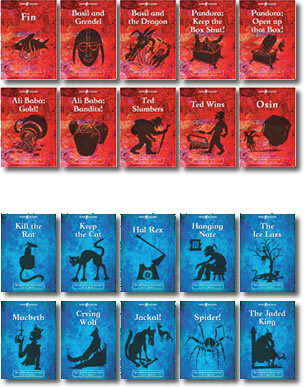 These twenty lively little books include well-known legends and folk tales from Arabia and Africa; the strange tale of Finn McCool and the heroic deeds of Beowulf; the tragicomic lives of Henry VIII and his six wives; and an witty interpretation of Shakespeare’s Macbeth. See Free Resources for a downloadable copy of MRI Set 1, Book 6: Macbeth, plus progress assessment sheets and graphs. The photocopiable MRI Tutor Guide enables all teachers to assess exactly where a student is in his/her progress towards becoming a competent reader. Information and procedures are clearly and simply explained. Practical Teaching Points, Initial and Final Assessment, Background Information About the Stories, Record Keeping, Fluency Practice, Copying and Dictation Exercises, Frequently Asked Questions, and Troubleshooting.